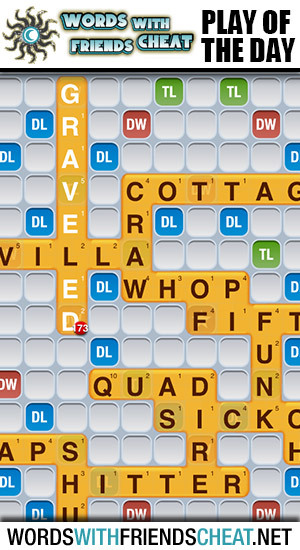 Today’s Words With Friends – Play Of The Day is GRAVELED (173pts) and was submitted by Words With Friends Cheat user Judy. Judy dropped her word over a group of double word, triple word and triple letter tiles. And her effort was definitely not in vain. After this play, Judy probably went off to win with an easy victory.